New Mexico Voices for Children has chosen an experienced public official and one of its own staff to be its new executive director. 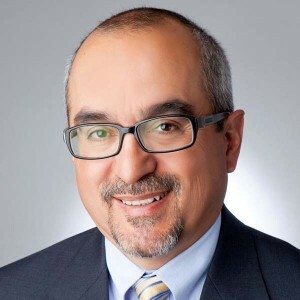 The child advocacy organization announced Tuesday that James Jimenez, who joined New Mexico Voices for Children as director of policy and research in 2013, will replace Veronica García, who recently left to become the interim superintendent of Santa Fe Public Schools. New Mexico Voices for Children makes policy recommendations to state lawmakers based on research into issues such as child poverty, substance abuse, teen pregnancy and educational achievement. In recent years, its annual Kids Count study has ranked New Mexico 49th in the U.S. for child well-being. The organization has worked to raise the state minimum wage, expand Medicaid and increase funding for early childhood education. In recent years, the group has urged lawmakers to use a portion of New Mexico’s land grant permanent fund to support early childhood education, an idea opposed by the governor and many in the Legislature. The organization’s second most important goal, Jimenez said, is making sure the state doesn’t slide backward when it comes to gains in health care. He credits the governor and the Legislature for the fact that many more children are covered by Medicaid today in New Mexico. But more money is needed to “prepare our workforce,” he said. New Mexico Voices for Children will be encouraging the Legislature to make decisions on tax policies to add revenue, such as doing away with the next phase of corporate tax cuts, which, Jimenez said, have not had the intended effect. Jimenez previously served as the city manager of Rio Rancho and was the secretary of the New Mexico Department of Finance and Administration from 2003-06. He served as chief of staff under Gov. Bill Richardson from 2006-08 and campaigned door to door for Richardson in Iowa during the governor’s failed campaign for the 2008 Democratic presidential nomination. Jimenez currently serves on the boards of several nonprofits and is an adjunct professor at The University of New Mexico’s School of Public Administration.